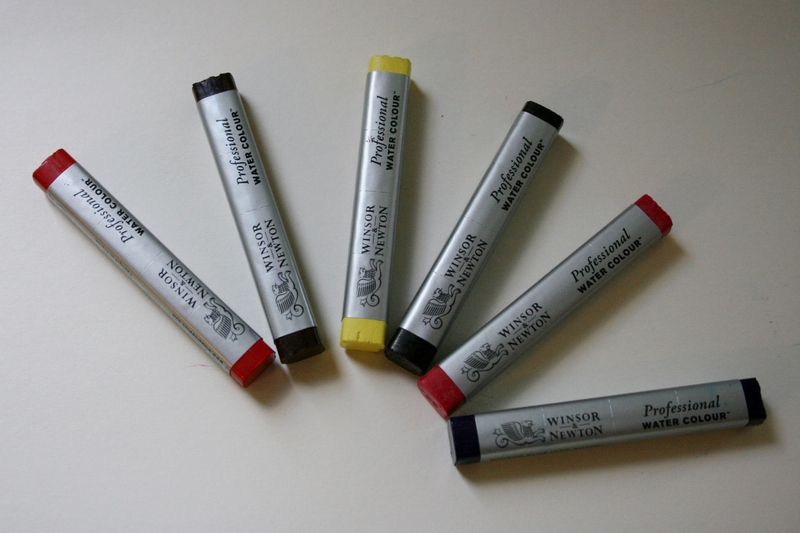 I have spent the last week playing with my newest toys – a set of six Winsor & Newton Professional Watercolour Sticks. Like all new toys, I spent the first day excited to try them out, but as the week waned, so did my love for the sticks. It was only towards the end that I found out their true potential, as you will read below. The first thing that struck me about the sticks was that they were far smaller than I had anticipated; smaller than their Daniel Smith counterparts but also considerably cheaper. I thought that the slim bars would suit my working style well, as I have a preference for working on small scale. Indeed, their square shape made them both easy to hold and allowed me to use their pointed corners for precision drawing. Watercolour sticks are convenient tools for sketching whilst on the move, as they are both versatile and compact. I thought I would test just how well these new watercolour sticks performed using eight different techniques, combining my favourites to complete a watercolour sketch. During the first day of playing with my new toys, I found that, taken straight from their packaging, they were very difficult to make a mark with. To make even the faintest mark, I had to press quite hard on the stick and was at risk of tearing the paper surface. I wasn’t disheartened though and decided to return to testing after I had tried something else. I ended up wetting the sticks for another experiment, after which I left them to dry. 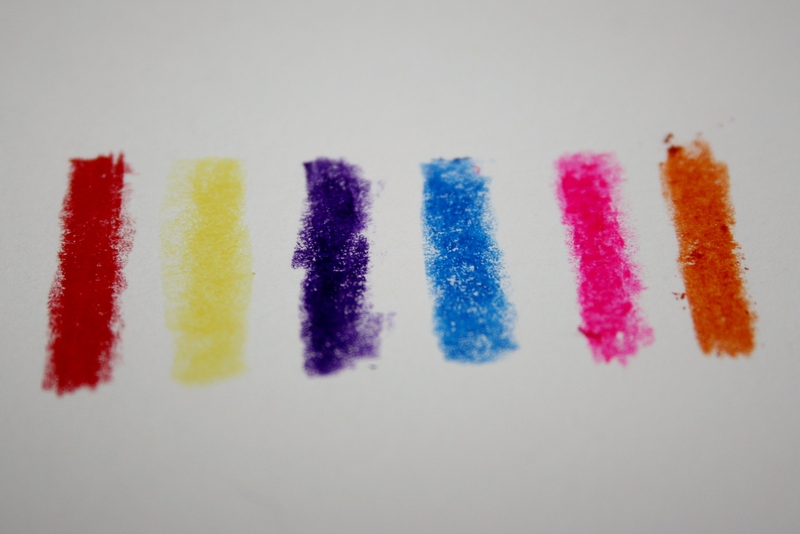 They performed far better when they did dry, and gave a rich layer of colour without too much pressure. 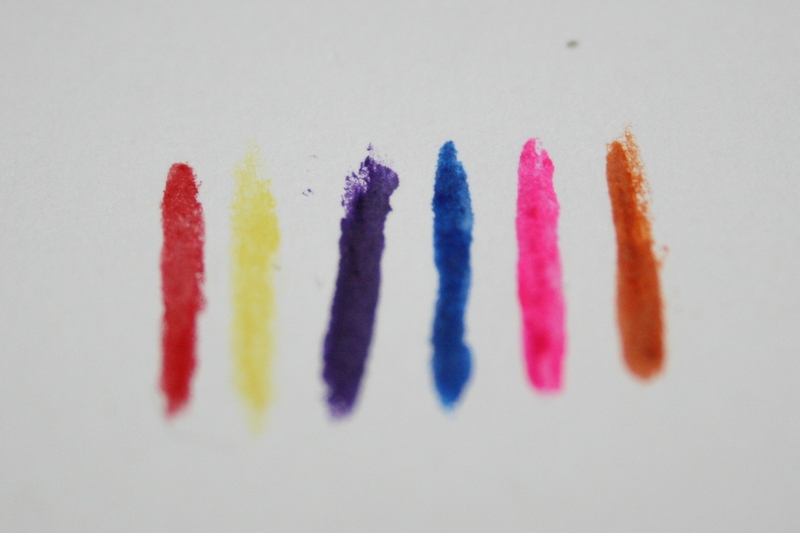 The sticks, which are harder than oil pastels, left in their wake a waxy colour similar to crayons. As mentioned earlier, the corners of the sticks were very useful. They produced neat straight lines and small marks easily, whilst the flat edges gave broad and sweeping marks. I felt that, evenafter my initial disappointment with the sticks, they performed well dry. It was nice to see the colour laid out on the page and any alterations that need to be done before adding water. For completing a highly detailed piece, I think I would still lean slightly towards using watercolour pencils, but for an energetic drawing Winsor & Newton’s Watercolour Sticks are ideal. Once I had completed my dry tests I added water to my marks. 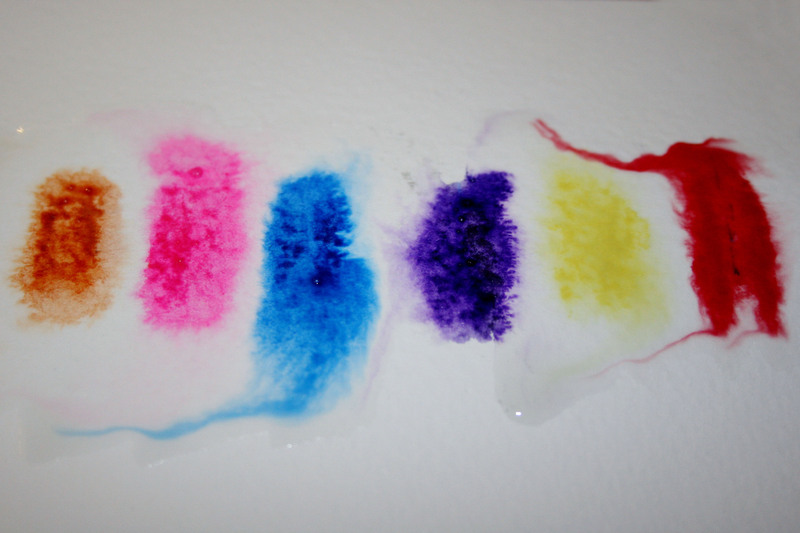 The colours transformed into watercolour easily with only the barest touch of water and no need to work the brush into the surface of the paper. The colours were a little paler that I had hoped when used in this way, especially the ‘Lemon Yellow’, but they were easy to build up. The sticks also seemed to hold true to their manufacturer’s claims that they can be ‘used dry and then wet, after any length of time’. To test this, I left some dry stick marks for close to a week before activating them with water, then I compared these to damped stick strokes created on the same day and saw no difference. I am intrigued to see if the sticks would perform as well after a longer trial. For my watercolour test piece I decided to sketch one of my favourite flower shops, as I am always amazed at how the grey exterior takes on blue and violet tones on a cloudy day. I thought that the colour selection of watercolour sticks I received would be ideal, not only for capturing these purple shades, but also for the shop’s stock of colourful blooms. To create the large clusters of flower heads, I used my dry stick technique with water brushed on afterwards. The colours blended well when dry and I was able to successfully control the paint when water was dabbed on. On my first attempt at using the sticks wet, I touched just the tiniest amount in my water lantern. 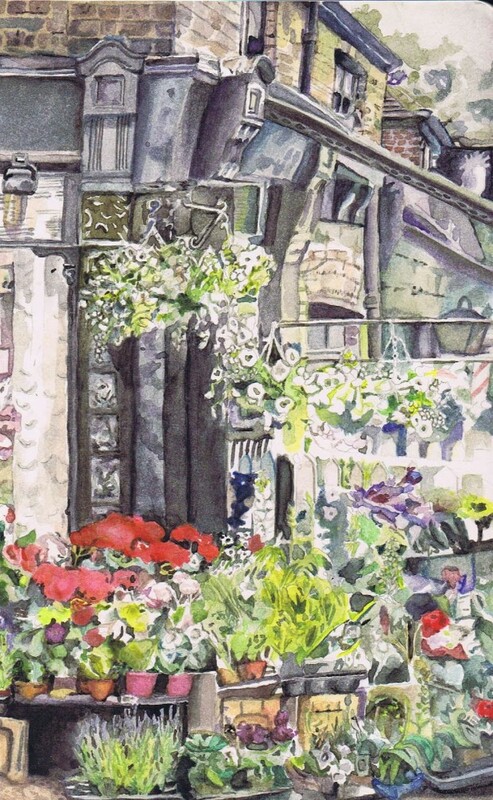 I found the colour bloomed uncontrollably on the paper with this technique, swamping neighbouring details of my sketch. After further experiments I discovered that dabbing the excess moisture to remove it improved the method considerably for working on detailed areas, but I resented the paint lost on my rag. Using the Winsor & Newton sticks on wet paper gave me beautiful and flowing results. As with the dampened sticks, the results were a little unpredictable, but beautifully dramatic. The colours bled out wonderfully across a damp sheet of watercolour paper and blended nicely. To give myself more control I took to only wetting the area I wanted to cover with a particular colour. I felt that this preserved the free quality of working on wet paper at the same time as preventing the colours from becoming out of control. My favourite experiment yielded thick, creamy paint that applied to the paper smoothly. Here I used the sticks as a watercolour pans and lifted colour from them with my paintbrush. I even mixed colours on the end of the sticks wiping them clean to restore the original colour. I was a little cross at myself for enjoying using such an innovative product in such a traditional way, however, using this method, I was again able to eliminate a palette. I was able to paint small flowing lines on my test sketch with this densely pigmented paint, even with a number 4 paintbrush (the single brush that has to perform many functions, that I carry when plein air painting). This was another technique that I enjoyed and was the easiest for creating very light washes. When trying to create the same effect with a wet brush over dry stick marks, or over the stick itself, I found that I ended up with too much pigment (that had to be dabbed off the paper) or faint stick marks that could not be lifted. 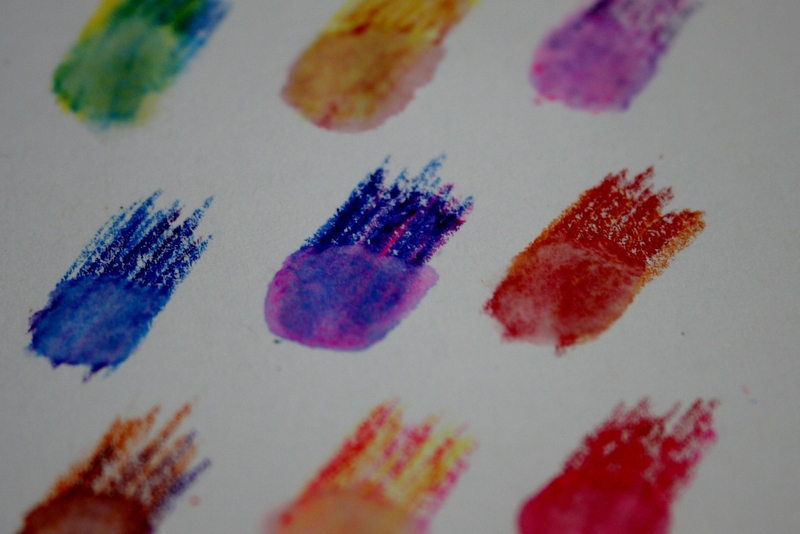 The damp sticks, when swirled on a palette, gave lovely pools of colour without the need to damage a brush by continually pushing it into a watercolour pan. This rubbing technique also transferred paint to the palette far faster than is normally achievable with a brush and pan. 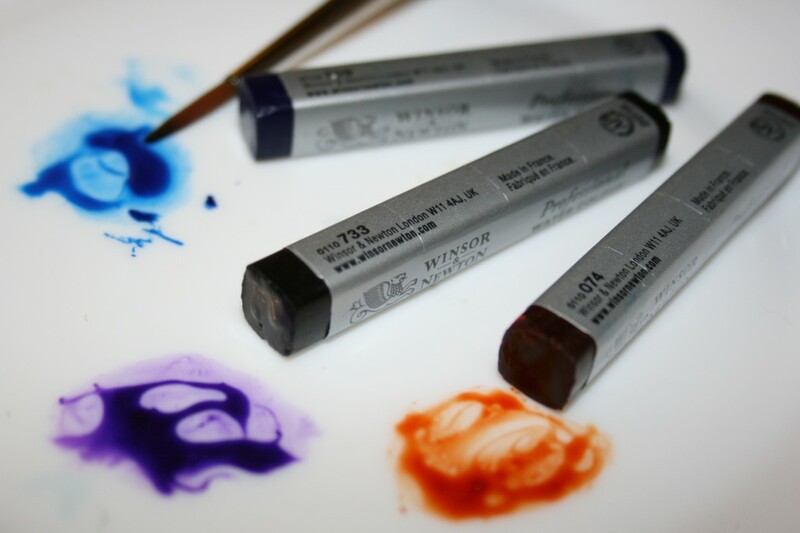 In this form, once on the palette, the paint from the sticks performed exactly as the paint in Winsor & Newton Professional Watercolour pans would do on a similar surface. If anything I found that the colour lifted better from Winsor’s sticks than from their pans. I painted my background wash of trees and sky with this technique and was pleased with the subtle effect. 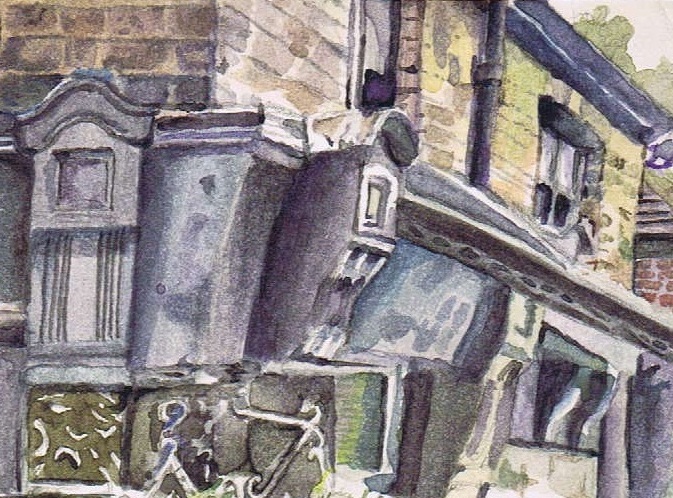 I found that a good technique for adding brightness and texture to a painting was to add dry sticks over dried watercolour. I tried this on quality watercolour paper and the dry sticks did not scar the surface. 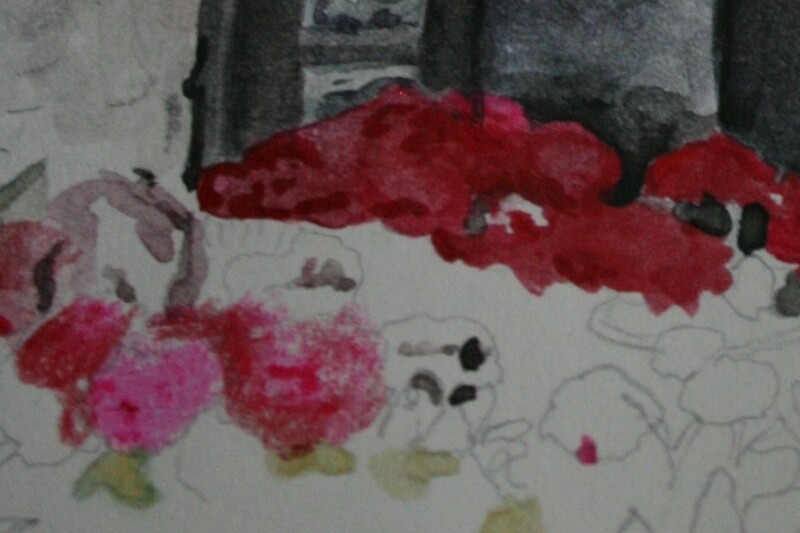 Adding extra details in this manner was easy and the second layer of marks could also be changed into watercolour, without causing harm to the paper beneath. It was immensely satisfying to be able to create an artwork that looked like a mixed media piece with just one stick. Although small, I could not fit the watercolour sticks into a regular sized pencil sharpener hole. They were, however, able to fit into a standard large sized sharpener hole or be sharpened with a knife. I initially began sharpening the sticks to see it I could create a point like a pencil for picking out details. Reluctant to waste any part of my precious sticks I gathered the shavings together placed them in a palette well where they formed watercolour easily. Though creating a pointed tip was useful removing part of the stick’s waterproof wrapping was incredibly difficult and time consuming, so I would be reluctant to try sharpening them again. As someone who leans towards using their watercolours in a tube, pan or pencil form, I was impressed to note that the sticks looked barely touched after completing a full sketch with them. This includes the stick that I was negligent enough to leave resting in my water lantern! In comparison, the fresh pan of ivory black (that I had used sparingly to create only the darkest of shadows in my sketch) had a sizeable dent in it. My biggest concern with the sticks is that they do become a little messy. On removing the sticks from their packaging on a warm July evening, I found that they reacted with the moisture on my hands and gave me paint-covered fingers. If, after delicately damping and using one end of a stick, I placed it horizontally on my palette or propped up with the damp side down, I often discovered that paint had crept onto the stick’s waterproof wrapping. To solve this problem, I balanced my sticks on their damp ends to prevent my wrapper hand hold from becoming dirty. 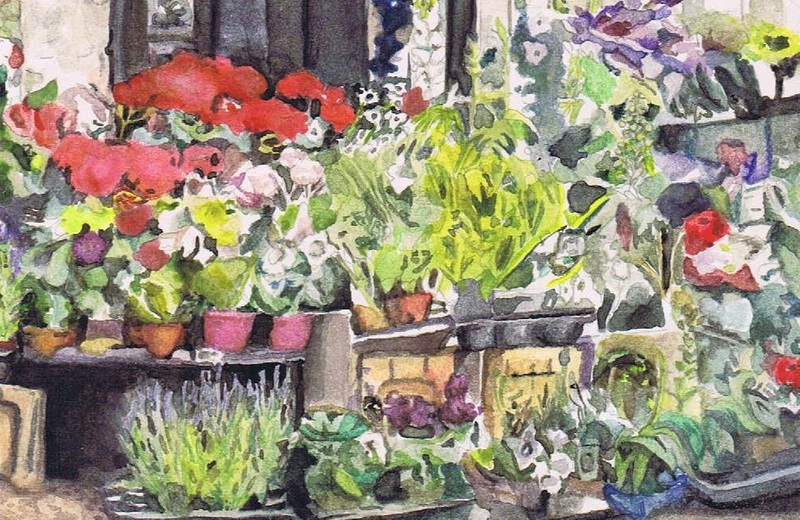 Although this was not a problem when working from home, I was disappointed that they would be trickier to handle then I had expected when painting on the move or en plein air, which I had initially thought was their main purpose. 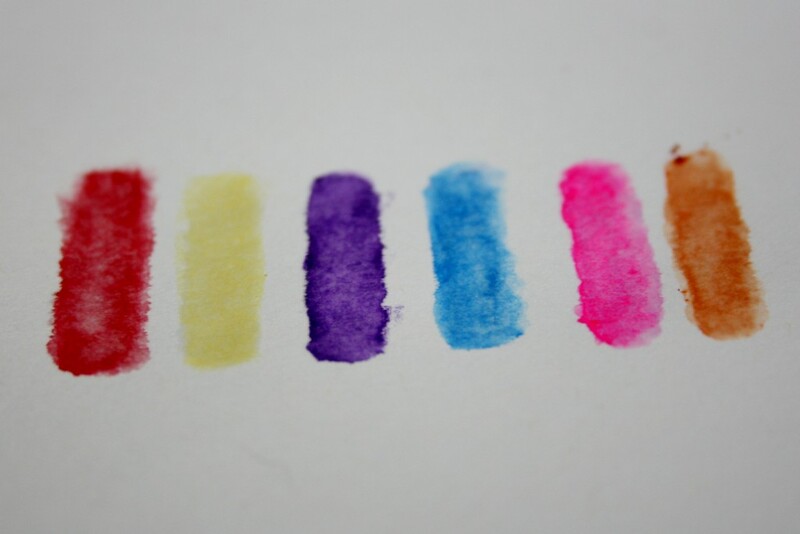 The greatest feature of Winsor & Newton Watercolour Sticks is their versatility. I found it immensely pleasing to be able to shift between such a large range of different artistic techniques using just paper, paint brush, palette water and a handful of watercolour sticks. 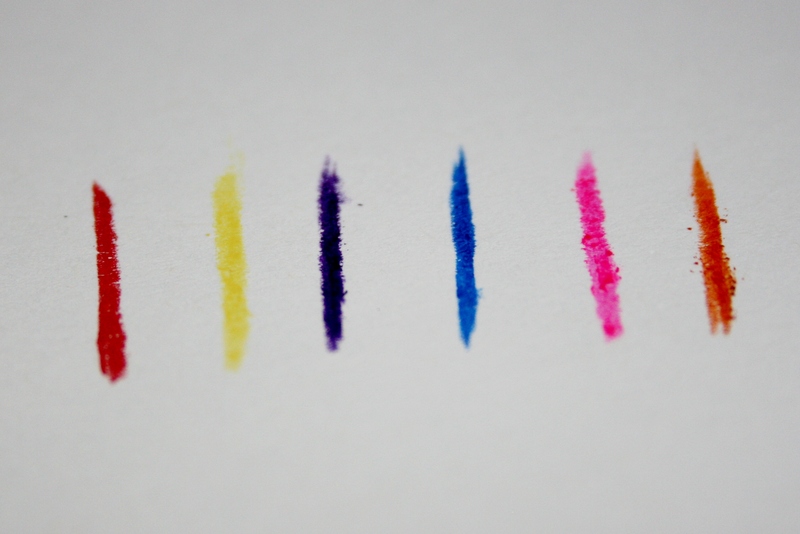 There were methods that I preferred more than others and some sticks were more highly pigmented than their fellows, but overall I was very impressed and would consider buying more. I enjoyed the expressiveness of using the sticks, as I was less inhibited that I would have been using a delicate brush on its own or a freshly sharpened watercolour pencil. It was satisfying not be continually sharpening an aquarelle pencil and yet to see my colour on the page before converting it into paint. I was also pleasantly surprised at how well the sticks worked as traditional watercolour pans. 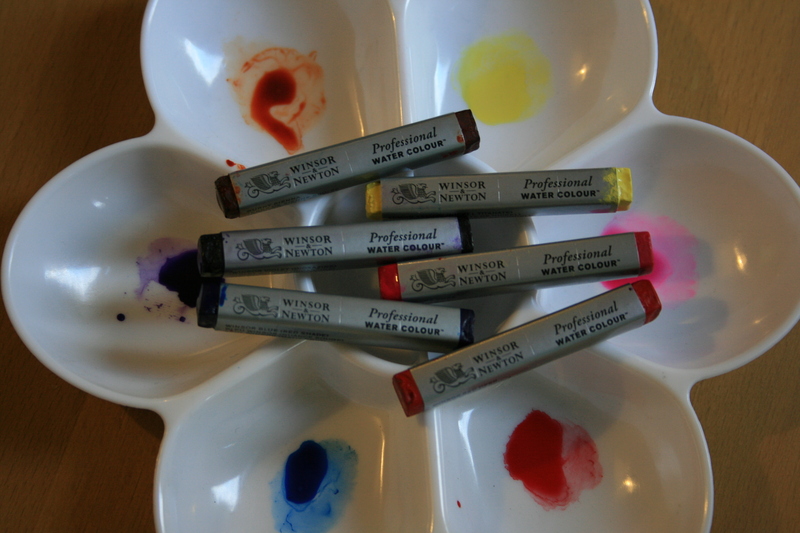 Click on the underlined link to go to the current offer on Winsor & Newton Professional Watercolour Sticks on the Jackson’s Art Supplies website. Postage on orders shipped standard to mainland UK addresses is free for orders of £39 or more. 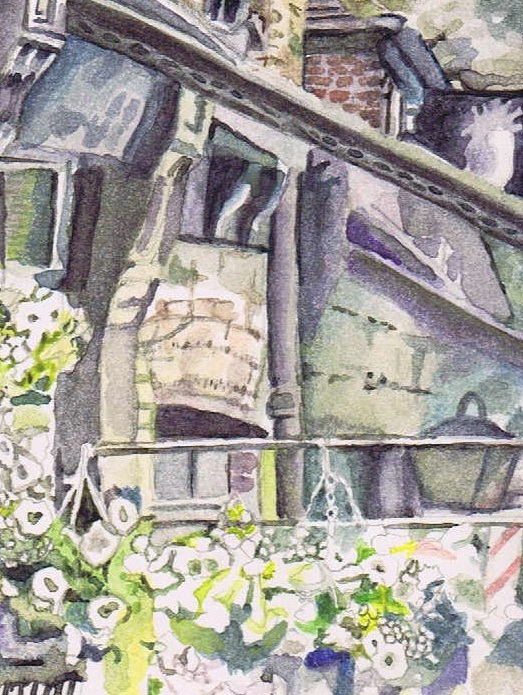 Watercolourist Lucy Tittle contributed Materials Reviews and Artist Interviews to the Jackson's Art Blog during 2014. Lucy has an MA in History of Art from the University of Andrews.